In sports, a little bit of confidence is important. But as in all things, too much misplaced confidence is a double fudge pile of embarrassment waiting to happen. 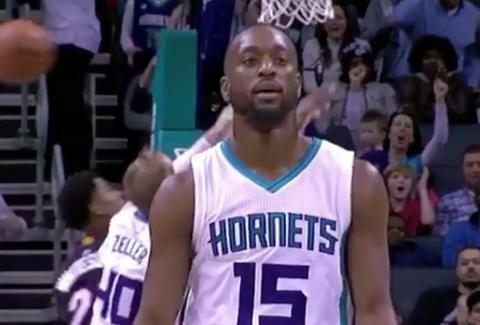 The latter is what the Hornets' Kemba Walker is facing as video of him shooting a three makes the rounds online. Walker was feeling pretty certain he nailed the shot. In fact, he was so confident he turned his back to the net and did a little dance as the ball hit the rim and didn't go in. Oops. This is the exact kind of thing that fuels the internet's fire. It passes the Benny Hill Test. If it's improved by the Benny Hill theme song, it's probably going to make a great meme. So, the internet responded by making Walker's whiff the perfect meme to end 2016. When she says she’ll text you and doesn’t ask for your number. You feel for Walker's misfortunate, at least a little, but it's not the first time we've seen this happen. L.A.'s Nick Young did the same thing previously. Everyone has been there, more or less. That's why it's so funny. Also, because it's hilarious.